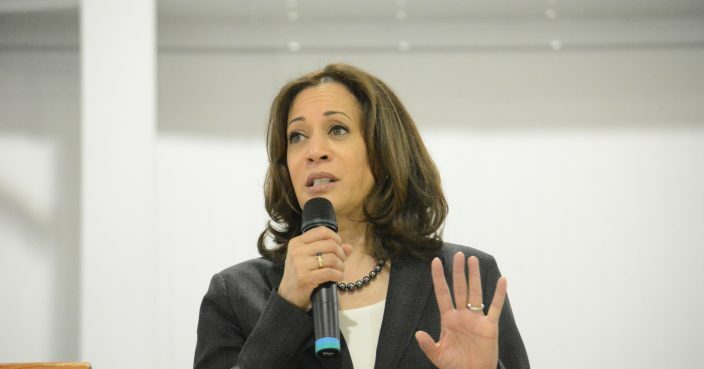 Democrat presidential candidate Kamala Harris is in California for a fundraiser hosted by prominent Hollywood power players, including the prolific television hitmaker Shonda Rhimes. The Wednesday evening event is billed as a "reception in support of Kamala Harris for the People," and Harris is expected to attend, according to an invitation obtained by The Associated Press. The reception will be held at the Pacific Palisades home of director J.J. Abrams and his wife, Katie McGrath. Tickets cost $2,800 per guest, with co-chairs donating $10,000, according to the invitation. On Tuesday, the California senator was a guest on ABC's "Jimmy Kimmel Live!" and posed for pictures with Star Wars star Mark Hamill, who also appeared on show.